After a day of exploring local trails, there’s nothing quite as refreshing as some lukewarm water from the Nalgene that you left in the car—nothing, that is, except an ice-cold brew at one of Utah’s many spirit-driven events and festivals this fall. If you’re hungry for autumn hikes and refreshing post-adventure festivities, the Wasatch is a good place to be. Here are just a few of our adventure/brew pair-offs. Head up Little Cottonwood Canyon any weekend between Aug.12 and Oct. 15 for late summer wildflowers, early fall colors and crisp, cold beer at Snowbird’s Oktoberfest. Start your day with a hike to Cecret Lake, where you can explore shady summer rock climbing at the Creekside Wall, or simply take in the views on a 1.6-mile out-and-back stroll. Back down the road, settle in at Snowbird for one of the largest Oktoberfest festivals in Utah, complete with family-friendly activities, live music and—of course— ice-cold steins of beer. 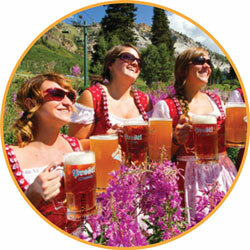 Snowbird Ski & Summer Resort, 9600 Little Cottonwood Canyon Road, 801-933-2222, Snowbird.com/events/Oktoberfest. On-site parking is $5 per vehicle. The Rose Park Golf Course (slc-golf.com/rose_park_golf_course) now offers “footgolf” (a precision sport where players kick soccer balls into a cup following golf rules) on holes 10 through 18. Play a round of footgolf starting at 3 p.m. and then follow it up with a round of beer sampling at the nearby Utah Beer Festival. 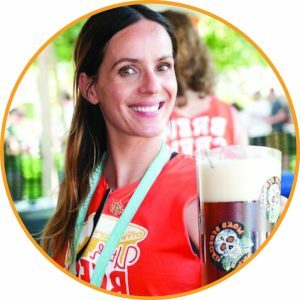 For the eighth year running, and now becoming a two-day event, City Weekly’s Utah Beer Festival brings more than 200 local, regional brews and international beers, live music, karaoke, tasty food and live music to the Utah State Fairpark. Buy tickets for one day or both, and join thousands of beer aficionados to lift a glass to the Utah Humane Society, the beneficiaries for this year’s event. Worried about driving home after all that celebrating? Hop on TRAX (the Green line stops right outside the fairpark gate) for festival-friendly transportation. 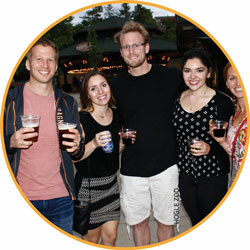 Utah Beer Festival, Utah State Fairpark, 155 N. 1000 West, Salt Lake City, 801-575-7003, UtahBeerFestival.com. Two-day tickets prices start at $25. 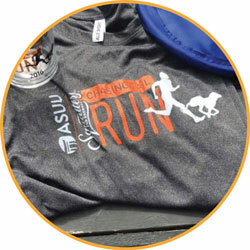 Squatters’ Chasing Tail Run describes itself as a “one-of-a-kind excuse to drink delicious craft beer, cunningly disguised as a road race.” This 4-mile race loops through downtown Salt Lake City, and ends with beers, stein-holding contests, yard games and general celebration at Squatters Pub Brewery. 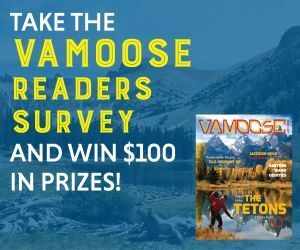 Best of all, race proceeds go to a good cause—this year’s race supports cancer research and Salt Lake County Animal Services. Chasing Tail Run, 147 W. 300 South, Salt Lake City, 801-363-2739, ChasingTailRun.com. Registration from $40-$50. 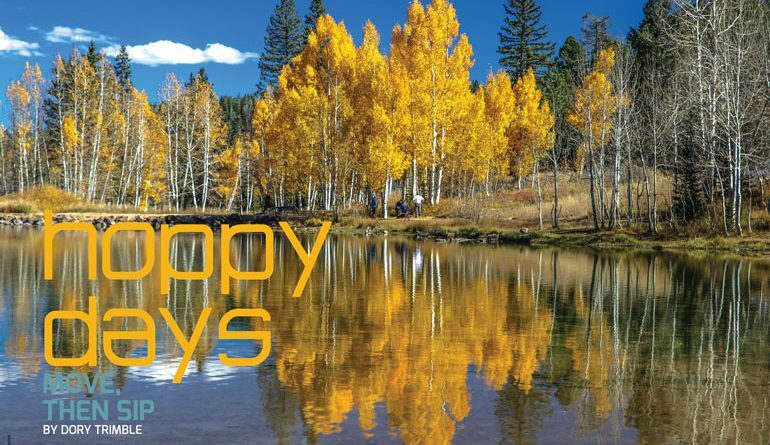 As the leaves change their colors, drive north for a day at Snowbasin, where you can sip your favorite Utah brews at the Autumn Beer Fest and get a boost to Mount Ogden’s summit. Take the Snowbasin gondola up to Needles Lodge, at 8,710 feet, and follow signs for the Needles Cirque Trail, keeping your eyes peeled for deer and other wildlife as you follow a faint trail to the summit. After taking in the views from the peak, congratulate yourself on your 3-mile adventure, and head back to the base for some well-earned refreshments, live music and snacks. 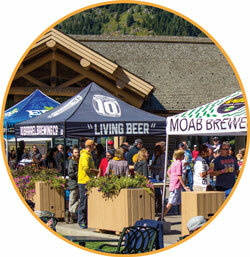 Snowbasin Resort, 3925 Snow Basin Road, Huntsville, 801-620-1000, Snowbasin.com/events/detail/basin-beer-fest. Tickets start at $30.